Many of us have Sky+ boxes of all different varieties – old ones, new ones, white ones, black ones, Amstrad, Thompson, HD, wireless etc etc. The majority of us will also have had problems with our Sky box from time to time – I don’t think I’ve met anyone yet who has had Sky for a year or more who hasn’t had any problems. Of course you can ring Sky – or nowadays, do a LiveChat online, but this can be a frustrating experience to say the least. One of the most frustrating problems has to be when your Sky box won’t power up (switch on) properly, it becomes unresponsive or you get a constant ‘no signal’ message – even though there is actually a signal. But fear not – don’t be reaching for your wallet to pay £249 for a new Sky box just quite yet – 99% of the time following the simple steps below will resolve your problem. Constant ‘No Signal’ message – even though you are sure there is a signal. Box light stays on red or amber and doesn’t switch to green in response to pressing buttons (like ‘Sky’) on the remote or the box. Box is on and/or powers up but it is totally unresponsive to both the remote control and the buttons located on the Sky box itself. First up, it’s the old favourite – unless you’ve already tried it, in which case feel free to move on. Switch it off (at the plug, don’t place it in standby), leave it 30 seconds and switch it back on – see if the problem is resolved. I know you’ve probably already tried this but it’s always worth mentioning just in case! Now, I’ll presume most of you are here because that hasn’t worked – read on. 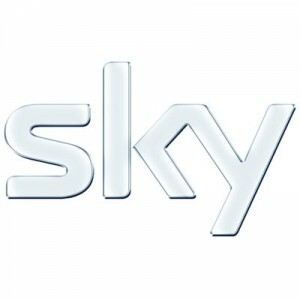 Note: Sky probably would be able to help you fix this after a possibly long, expensive and painful telephone call – but, based on reports I’ve heard, they suggest a solution that will delete all your recordings and clear your planner (i.e. any scheduled recordings) – whilst you may have to ultimately do this, don’t try this as the first option – it’s probably unnecessary! Unfortunately, we’re going to have to turn the box off again if you already have – we need it to have a cold start. Unplug your box from the wall (or take the power lead out of the back of the Sky box – whichever is easier for you). Give it a minute – make a brew, feed the dog etc. Plug the lead/socket back into the power and, whilst doing this, ensure you are holding down the ‘Backup’ button on the Sky box itself (not on the remote control – that won’t work). Keep holding. After a little bit of time you’ll notice that the lights on your Sky box come on. After this you’re free to take your finger off the button. Now leave your Sky box alone for a bit. Depending on various factors this could be 5, 10, 15 or 20 minutes. You’ll know when it’s done because the lights should go out on the box and eventually rest on the ‘Amber’ standby light that you normally see when you’re Sky box is plugged in but not switched on. Press ‘Sky’ on your remote. Hopefully, by this stage, you’re Sky box problem is well on the way to being fixed. The light on the front of your Sky box should go green and you should see a message on screen – something like ‘Searching for Listings’. Don’t worry, this is totally normal – we’ve performed what is known as a ‘soft’ reset – simply put, it’s reset the Sky box software but importantly it has retained your personal data – i.e. your planner and recordings! After a couple more minutes a channel should appear on screen (probably the Sky Demo channel) and you are once again free to enjoy the wonderful delights of Sky. Not only are you £249 better off but you’re also less stressed and have used less time than contacting Sky or buying a new box! I’m sorry to hear that. Unfortunately, at this stage, the next step would be to try – as Sky suggest – a ‘hard’ reset. This will not only reset the software but it’ll also delete your recordings and planner. This problem can usually be fixed using the method above but unfortunately, in a small number of cases, it’s gone past being fixed by a ‘soft’ reset. Concerned about your privacy? Fed up of paying a fortune for a computer that then spies on your shopping habits (after all, you don’t even let your husband know how many pairs of shoes you’ve bought this weekend, so why the hell should Microsoft get to find out?!). Sorry, that sounded like the start of a corny ad, but stick with me, you’ll be glad you did. Now lots of people have taken the plunge and got the upgrade to Windows 10 – particularly as it was provided for free (thanks Microsoft!). But in the post-Snowden leak era, people are understandably getting a bit more picky about who they share their data with and where over the wondrous Internet it is transported to – particularly as data protection laws outside the EU aren’t necessarily as strict as we’re accustomed to. And Windows 10 likes data – your data to be specific. Now, don’t get me wrong, Windows 10 isn’t suddenly going to publish your files on PasteBin – but it probably is, as you’re reading, collecting information about your computer (and therefore you) to “make Windows better” and to offer targeted advertising. If, like me, you go by the premise that you already do enough to “make Windows better” and that if you wanted to purchase something you’d Google it rather than wait for an advert to pop up feel free to read on – you no longer have to share your personal information with Microsoft. Now the default options, which many people stick with, while installing Windows 10 are not privacy orientated. There more “share you info so we can provide some cool features” orientated. Cool features are nice, an over familiar friend (read stalker) not so nice – I’m looking at you Cortana! Thankfully, there’s no need to wade through 3,000 menus in control panel and try to decrypt Microsoft techno-babble. There’s a fantastic tool by Safer Networking, the creates of the acclaimed Spybot – Search and Destroy software. Spybot Anti-Beacon provides a light-weight, easy to understand, simple interface that helps you share only what you want to share – in most cases, that’s probably nothing. 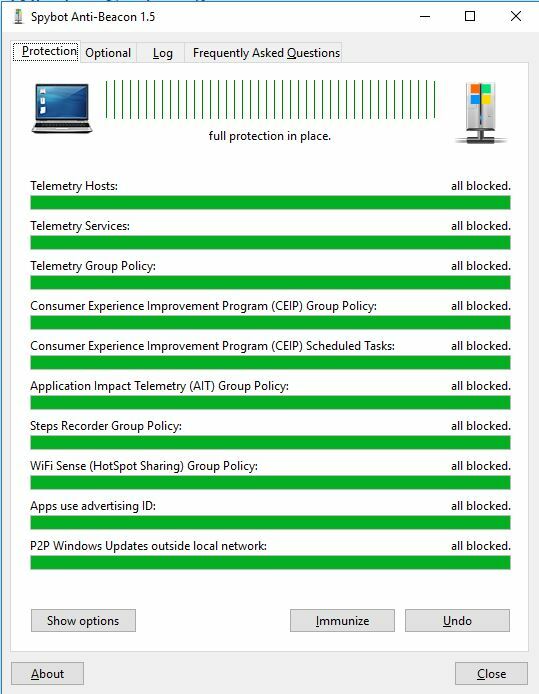 Don’t worry, even if you block everything Windows 10 will still full work – you may just notice things like Cortana doesn’t seem as creepy by knowing your office extension or when you’re going to be home from work. For most people, on the ‘Protection’ tab, you’ll just want to Immunize all. You can take a look at the ‘Optional’ tab as well if you like but read the caveats to deactivating each one and things that it may affect. And then you’re all set – no more Windows 10 spying! Many of you will know that I’ve been interested and using Coldfusion for a number of years now. Although it does come with, what can be sometimes, a hefty license fee you can also get shared hosting plans that include it for around £50 / year or less. Buying a Coldfusion license directly from Adobe is an expensive option whereas if you grab it through a shared hosting plan you’ll usually get all the updates included for your yearly fee – in this case renting is usually preferable to buying. 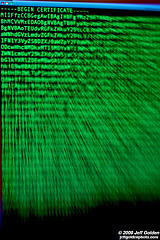 Coldfusion is a great language for rapid application development – one of the main issues over the years has been that whilst it makes the backend a lot easier to manage and can do great things with less effort, including implementing some amazing features, with half as much as code as other languages, we’ve always had a bit of a frontend dilemma with Coldfusion. Frontend knowledge, just like backend knowledge, will always be a pre-requisite to producing an awesome website – but now, we can make that learning curve a little less steep and get on the road quicker. SAP, a German multinational that makes enterprise software, has released a new framework called OpenUI5. It’s pretty easy to get started, no special software required and I’ve started to have a play around with it. The good news for Coldfusion fans across the globe is that you can integrate OpenUI5 with your existing and new Coldfusion projects without too much effort. As far as your Coldfusion installation and config goes there’s nothing that you have to touch with it. Follow the tutorials and integrate any UI5 code that you do with your Coldfusion application – in exactly the same way that you embed your existing HTML in to Coldfusion now. Give it a go, have a play around and feel free to come back and comment and report on any findings and observations you have. And of course, if you have any test Coldfusion UI5 apps that you wish to share, please come back and leave us the details – I for one would definitely be very interested in seeing them. If there’s enough interest I’ll consider making a developer series for Coldfusion UI5, adapting tutorials to the specifics of Coldfusion. Check it out – you’ll be glad you did! PS – check out some of the demo apps! Just a quick message to wish all our visitors and members a happy Easter! Hope you have a fantastic holiday weekend :). We’re implementing a redesign of the blog over this weekend but there should be no downtime with regards to access to the blog but things might look a bit out of place for a few hours. Please feel free to leave your comments and feedback which are appreciated as always – and if you notice anything broken don’t be afraid to shout!